It's always exciting to know the traders who scored the highest net-worth for the year; especially that this list is in a constant change. If we take into consideration the high risks of the industry itself, we’ll understand why most traders avoid the limelight. However, despite these risks, we see other traders that have broken the barriers, dived into calculated risks and finally rose to international stardom. As a matter of fact, these people influenced the business industry as a whole and had a profound impact on the investment history and the field itself. 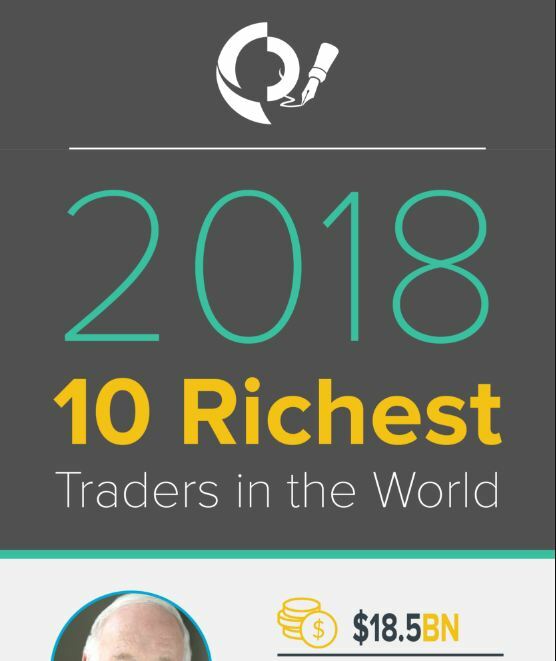 In this infographic by Amana Capital, you will find the Top 10 traders for 2018. You will also have an insight on the net worth they scored this year, and get to know what their current job is. Still waiting? Let’s start our discovery journey! Meet the 10 richest hedge fund managers and traders in the world today.